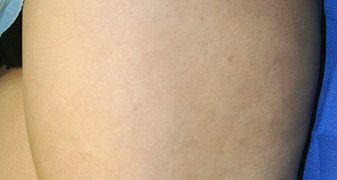 This treatment consists of injecting a sclerosing agent into the vein through a tiny needle. Once the solution is injected into the vein, the blood in the vein is replaced with the sclerosing agent causing irritation and corrosion to the wall of the vessel. 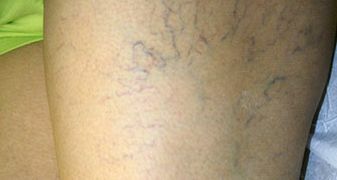 Soon after the vein begins to decompose, shrink and eventually disappear during the body’s natural healing process. Gradually improvement will be noticed and in some cases several treatments may be required to achieve optimal results.